Opposition parties will meet election commission officials on Monday over concerns about EVM tampering, Congress president Rahul Gandhi told reporters after the meeting. New Delhi: As Lok Sabha elections 2019 are around the corner, Opposition leaders have decided to approach the Election Commission on February 4, Monday, for redressal of their concerns over the use of EVMs in the upcoming polls. The decision was taken after the Opposition parties meeting in national capital on Friday. Opposition parties will meet election commission officials on Monday over concerns about EVM tampering, Congress president Rahul Gandhi told reporters after the meeting yesterday. Notably, several opposition parties have been claiming that only two-three countries are using EVMs and the rest have reverted to the ballot paper system following complaints of malfunctioning of these machines. The Congress, while supporting the demand, has maintained that since the Lok Sabha election is just around the corner, the EC should ensure counting of paper trail in 50 per cent booths across the country to ensure there is no doubt in the minds of the voters. However, Chief Election Commissioner Sunil Arora on Monday clearly stated that they are not going back to the ballot boxes. “We have been using EVMs for more than two decades now. No way are we going back to the ballot boxes. Some political parties demanded that VVPATs be used in all polling booths. Some parties demanded that results from all EVMs be matched with VVPAT slips. 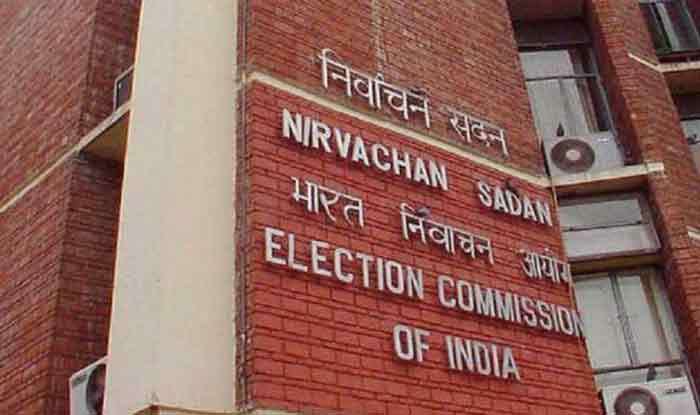 Commission has informed the political parties that VVPATs will be used in all polling booths countrywide in the forthcoming Lok Sabha elections,” said Arora. Arora, along with the Election Commissioner Ashok Lavasa led the full bench of Election Commission of India to conduct a two-day review of poll preparedness in the state of West Bengal.